DEBORAH CROMBIE: My wine club (Winc, which used to be called Club W) selections come with a card that describes the wine on one side and has a paired recipe on the other. I look forward to the recipes almost as much as the wine, and have made quite a few delicious things. The wine is usually good, too, and sometimes amazing. In this case, however, (a vegan chenin blanc) most of it ended up down the sink. Not the best choice! But the recipe was terrific, so good, in fact, that I think it's going to be one of my staples. Bring water to boil. Cook pasta until al dente. Wash veggies. Halve tomatoes lengthwise, and thinly slice mushrooms. Zest and slice lemons. Heat drizzle of olive oil on medium low heat. Cook tomatoes and mushrooms, seasoning to taste with salt and pepper. Set aside. Drain pasta, and add it to pan used for veggies. Add arugula, pesto, garlic, and a splash of lemon juice. Toss on medium low heat until pasta is covered. Serve with mushrooms and tomatoes on top. Sprinkle with lemon zest. This was so good that I ate it for lunch several days in a row. I think the lemon zest is the kicker. So if you have an overload of cherry tomatoes, bon appetit! REDS and readers, do you have any special "end of summer" recipes? Debs, just reading your pasta salad recipe makes my mouth water! I can't wait to try it. We always make a Frogmore stew at least once or twice over the summer. Cut three large sweet onions into chunks; halve or quarter two pounds small red potatoes. Cut two pounds of boneless chicken breast into small pieces [about 1/2 inch chunks]; cut one or two pounds chorizo or kielbasa sausage in half lengthwise, then cut into quarter-inch slices. In large stock pot, heat two tablespoons olive oil over medium heat; add onion, potatoes, chicken, and sausage. Stir and cook three to four minutes or until onion is tender and chicken loses its pink color. Add five cups water, two bay leaves, one can [or bottle] of beer, one-fourth cup Old Bay seasoning; cover and bring to a boil. Add four ears of corn, broken into halves or thirds, depending on size. Lower heat to medium, continue cooking until potatoes are fork-tender, about twelve minutes. Add two pounds fresh clams; cook about five minutes longer. Add two pounds large shrimp; cook about three minutes longer or until the shrimp turn pink and the clams open. Drain the stew; serve in large bowls with warm bread. Debs, I'm thinking about transforming your dish to one that doesn't need cooking. Last night I made my once-a-summer Lobster Bisque. A birthday present for my husband (we've agreed to stop giving actual gift-gifts because who needs one more thing). Wow! All 3 sound fabulous! Debs-what are cherub tomatoes? I am a in love with the little yellow ones! YUM! Oh, that sounds so good! What are cherub tomatoes? Cherry tomatoes? Yum, they all sound great. 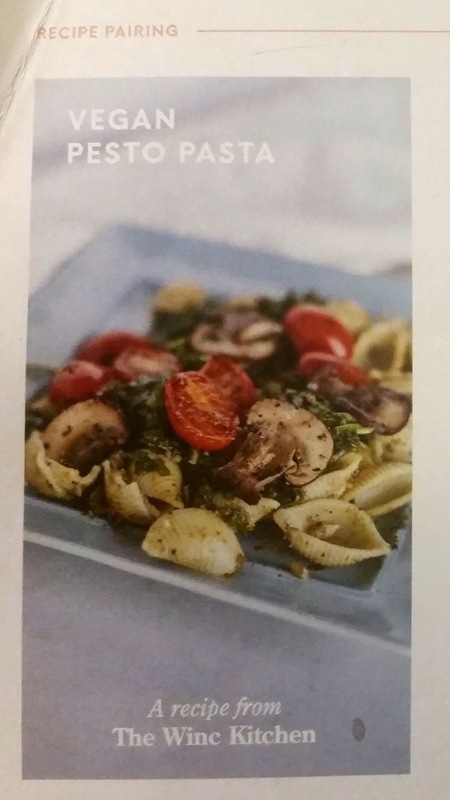 I've been looking for a new pasta salad recipe. I think this one may be it. This sounds delish, Debs, Thank you! End of summer recipe at our house would probably be ridiculous amounts of BLTs so we can enjoy all the good tomatoes we can while they last. Pitiful, I know. LOL! The Cherub tomatoes are a brand of grape tomatoes sold by Nature Sweet, but any cherry or grape tomato will do. And you don't have to use arugula if it's hard to find. The first time I made it, I used a box of baby greens and they were fine. Arugula is better, though. The lemons are mainly for the zest, and you could get away with one big lemon instead of two. You squeeze some lemon juice into the salad, to taste, then sprinkle the lemon zest on top. This really is fabulous. I like it with the vegetables raw, too, but cooking the tomatoes and mushrooms a little bit and wilting the greens makes it all sort of bursting with flavor. Yum. Everything sounds wonderful except the part about the end of summer. Bite your tongue Deb! We have several Sungold plants, those little sweet yellow ones, and our neighbor has an overload of another yellow variety plus red cherry tomatoes. We pick every day and don't even wash them They live in bowls on the island and coffee table. These are our favorite treat, eaten by the handful and NO cooking! I was with Hank about not getting the lemons, Debs, but you explained that nicely. I don't know that I'd want as much lemon as you put in though, so it's good to know it can do with less. Yum!!! I love arugula and this sounds so refreshing! Thanks for the recipe. All of it sounds so good. We always seem to have a container of Cherubs sitting on the counter. My husband loves them. Since I can't grow tomatoes in our latest environment they are the next best thing to homegrown. During the cooler months, I microwave some frozen edamame in a big bowl, with a little Italian dressing instead of the water. When it's done I add canned beans, drained: one of black beans, one of red kidney beans, and one of great northern or cannelini. To this I add more Italian dressing, lots of freshly ground black pepper, and a big handful of chopped parsley. In the summer, I use freshly cooked corn off the cob instead of the red kidney beans, plus a diced red sweet bell pepper, and instead of parsley I use cilantro. Instead of Italian dressing I use rice wine vinegar and lime juice. And if there's a ripe avocado around, I dice it up to add to the salad. No recipe; this is all to taste. Add a BLT, and you have a perfect summer supper. Karen, that sounds like a great dinner to me!